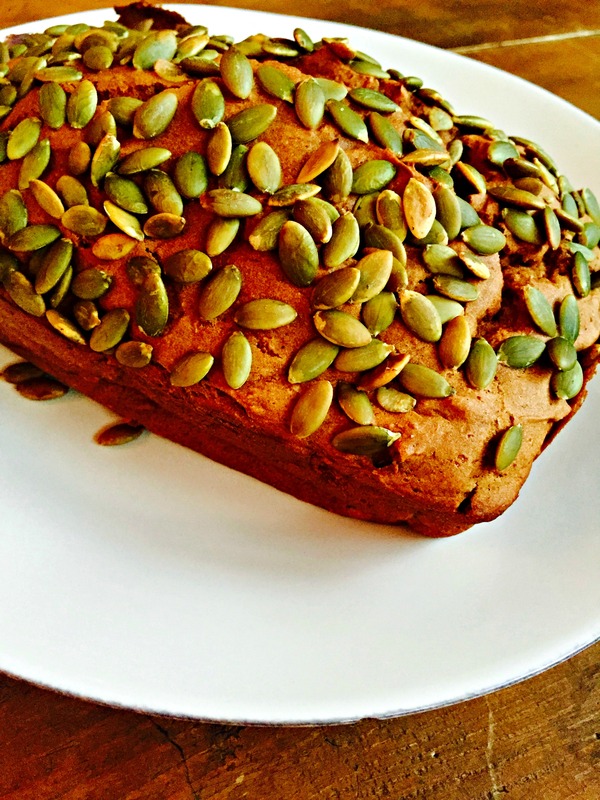 This Pumpkin Bread is so moist, and delicious, you and your family will never miss the gluten! Add all dry ingredients into a large mixing bowl. Thoroughly whisk dry ingredients together. Form a well in the center of dry ingredients. Add all wet ingredients into the center of the well. Blend with an electric mixer for a few minutes. Start on low, increasing to medium once all ingredients are damp. Gradually increase up to high, as the batter becomes incorporated. Mix for a minute or two on high. Continue as long as it takes for the batter to become light, smooth, and well blended. Pour mix into your well-greased bread pan. Scatter Raw Pumpkin Seeds on top of your batter. Bake on the middle oven rack for 1 hour**, OR until a toothpick comes out clean.